Your website is often the first element of your business that your potential new clients are introduced to, if your website has been poorly built or is years out of date you could be losing out on new clients. 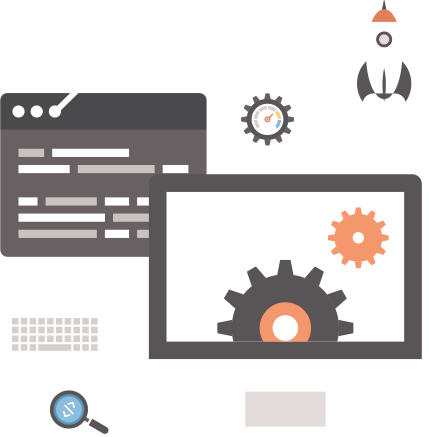 Our website design team build beautiful, contemporary and SEO ready websites that reflect your company’s image, we do this using our professional skills in W3C and responsive web design to allow your website to function seamlessly on any device. Based in the heart of South Shields we are a local, friendly company that have been established since 2011 and with our own shop so that you can come in and speak to a person face to face rather than going back and forth via emails all of the time. If you’d like to enquire about a website or even just need a bit of advice then pop by and we will endeavour to help you as best we can. More Website options available, Click to get in touch. Below are a few thing that come as standard on all of our Websites, Some pages can be swapped around to suit the clients needs. We are not an SEO company but can advice on certain aspects.